Can a Gun Trust own or Possess an SBR in IL? As of January 1, 2013 it became legal persons with a C&R license to purchase, transfer, make, possess, and use an SBR in IL. The Law is poorly written and only indicates that it restricts possession. 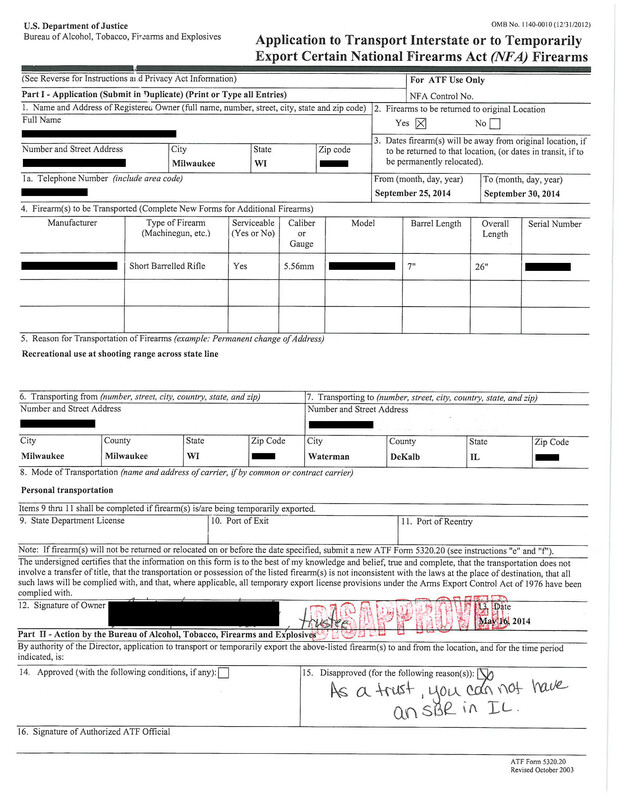 While it has been clear that a trust could not purchase an SBR in IL, there has been a question about whether an SBR purchased legally in another state by a trust could then be in the possession of a Trustee, authorized by the trust to possess the firearms in the state of IL when that person had their own C&R license. ATF has recently rejected such a request stating that a trust may not have an SBR in IL. This does not appear to be entirely correct, but until someone is willing to challenge the decision by the ATF it will not be possible to use an ATF 5320.20 to bring an SBR to IL. Here is a copy of a rejected form. There does not appear to be a direct prohibition of Any Other Weapon’s (AOW) but some or most AOW’s appear to be banned under additional terms of the Illinois Statutes. 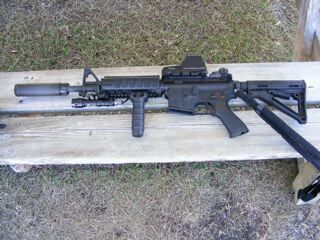 In addition, certain C&R firearms appear to be legal. Technically these are not considered to be restricted under the NFA.